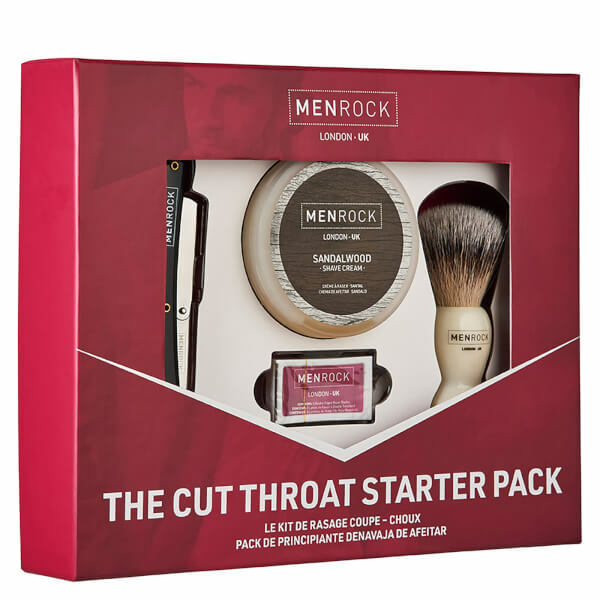 Containing everything you need to enjoy a traditional wet shave, the Rock Cut Throat Shavette Starter Pack will allow you to achieve a professional, barber shop experience in your own bathroom. Perfect for even the most novice of wet shavers, it would make the perfect gift for any man who likes to give his appearance that extra special bit of attention. - L.M. 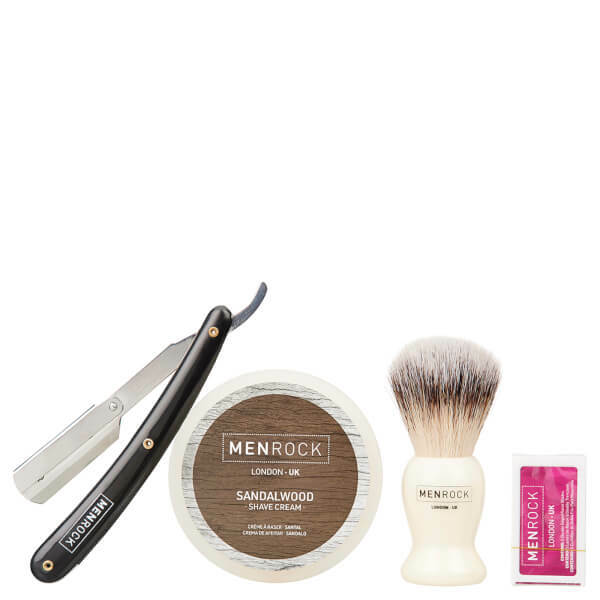 Men Rock Cut Throat Shavette: Just like a traditional straight razor, but without the need for honing or the use of a strop, it features interchangeable double-edged blades that will give you a super close, comfortable shave. 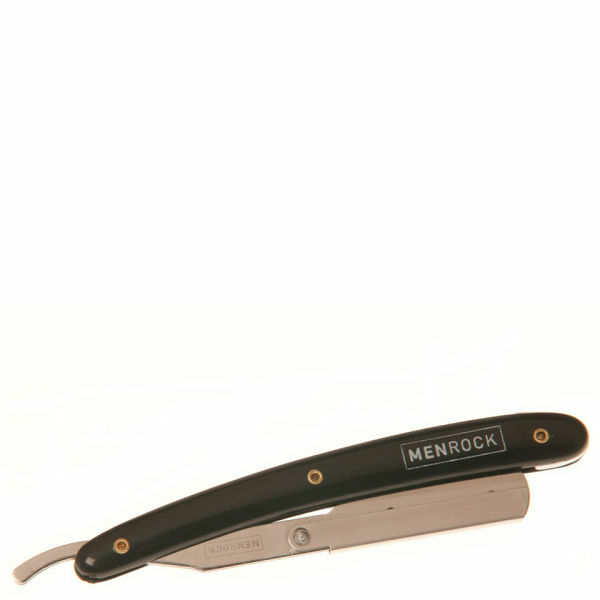 The blade is etched with a Men Rock logo to give a professional look and finish. Apply the shaving cream to wet skin using the brush, then use the blade to gently shave away unwanted hairs. Rinse your face and blade after you have finished your shave. Ordered this for my boyfriend for his graduation present as he has always wanted a one. Excellent customer service before the product arrived, as it was dispatched an hour after order was placed. Product came and it was in a lovely box which looks really expensive. Products are amazing according to my boyfriend who was over the moon and highly recommends them. Thank you ManKind for a lovely gift for my boyfriend. I love it ! it is perfect . It is so fancy and a perfect choice for a gift . I recommend it so much . I will be ordering it again for sure . I got this free with one of my orders. To be honest, I didn't expect it to be much more than a nice, but tiny, little starter kit for cut throat shaving and intended it to be a nice little gift for Christmas. When it arrived I was pleasantly surprised. 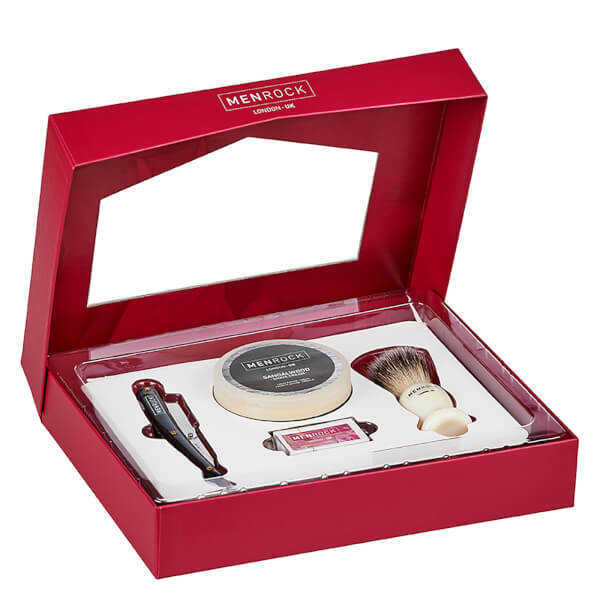 It's quite a large, nicely presented box that contains everything someone who doesn't cut throat shave would need. It's probably not suitable for anyone experienced at it but its definitely a great product for anyone interested in giving it a go and will also make an excellent Christmas gift. I recently bought this lovely Men Rock Cut Throat Shavette Starter Pack gift set for my husband for his birthday and he loves it. He said that the razor, brush and shaving cream are beautiful and there is a little message inside with a pack of plasters which was a nice touch too. The shaving cream smells gorgeous and the brush is fantastic quality for the price I paid.